Light Pole Banners & Signs for Advertising. Light Post Banners. 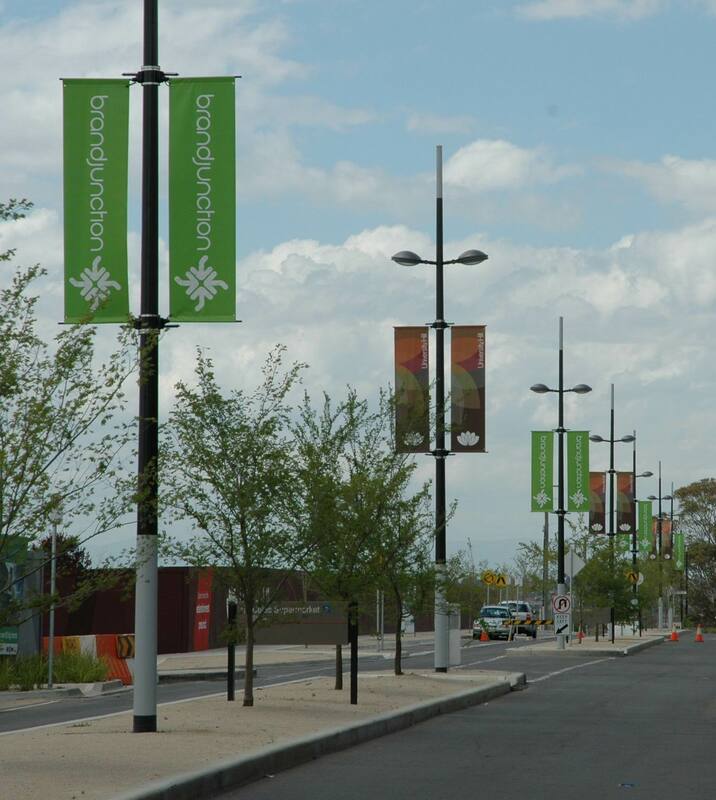 Light pole banners, signs & flags are used throughout Australia by cities, towns, universities, shopping centres, retailers, commercial and residential developers for advertising to announce events, beautify areas and spread a consistent message. Crisp, clear double sided printed light pole banners, signs & flags make a memorable impression seen by passing cars and pedestrians. 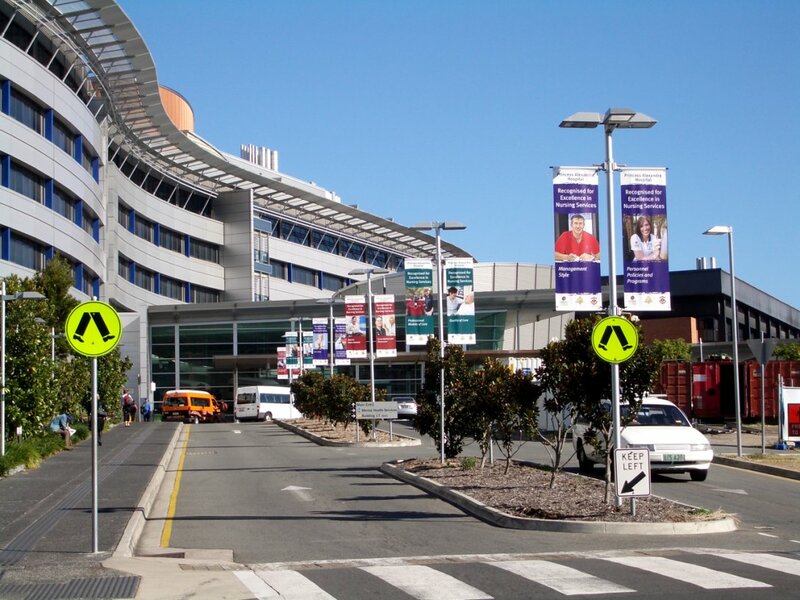 Using premium quality banner vinyl and attention to detail, Bay Media light pole banners can withstand the sun’s harsh UV rays and extremes of Australia’s climate. 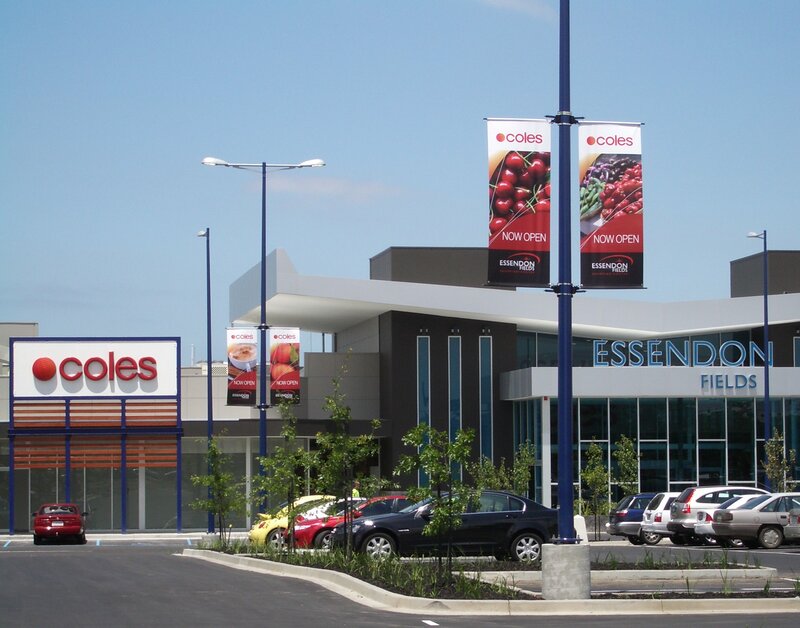 Paired with the Bay Media BannerSaver light pole brackets these light post signs are ideal for displaying large format light pole banners for effective light pole advertising in any location throughout Australia. 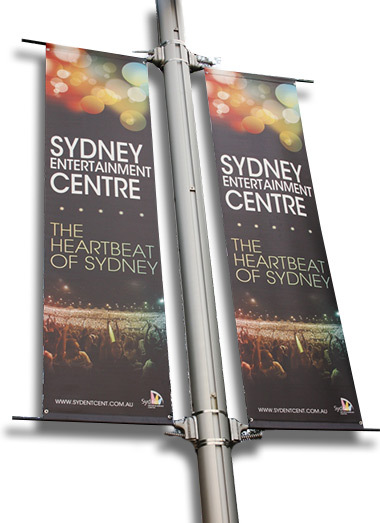 Bay Media print light pole banners onto premium quality 860 gsm vinyls, with triple stitched pockets and stainless steel eyelets for outstanding performance and longevity. 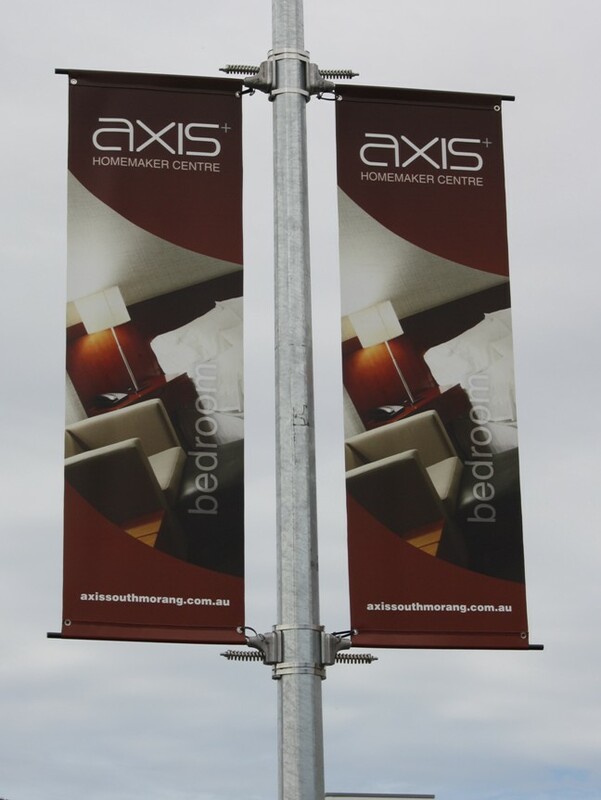 To discuss your light pole banner options contact Bay Media today on 1300 33 49 36. Light pole advertising flags, signs and banners. We also supply light pole brackets for banners. Banner mesh advertising for Commercial and Domestic Development projects. Custom ourdoor flags and banners for events and festivals.